Munich, March 14: Sadio Mane had a brace as Liverpool defeated Bayern Munich 3-1 to claim a berth in the Champions League quarterfinals. The Reds, who lost last year's final to Real Madrid, became the fourth English side to reach the last eight in the 2018-2019 edition of Europe's elite club competition, joining Manchester United, Tottenham Hotspur and Manchester City, reports Efe news. 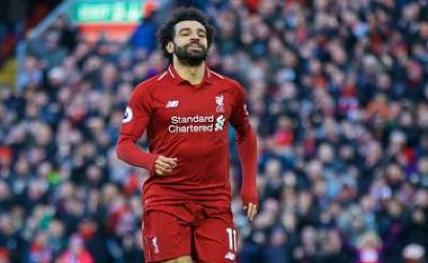 After drawing 0-0 in a hard-fought first leg at Anfield, both the hosts and the visitors eschewed risks in the opening minutes on Wednesday at the Allianz Arena here. While Bayern had more of the ball, they struggled out to play out from the back. Thiago Alcantara sent a strike wide in the ninth minute and Liverpool defender Virgil van Dijk prevented Robert Lewandowski from even getting a shot away two minutes later. The play began with a Niklas Süle free kick that reached Serge Gnabry, whose cross would have found Lewandowski if Matip hadn't inadvertently redirected the ball past keeper Alisson. David Alaba's free kick from distance a few minutes later was easily handled by Alisson before a Lewandowski effort went wide and the first half ended 1-1.